Guitar virtuoso, one-man band, sonic shaman. Inventor of unique “flowing chords” playing technique, together with bends, counterpoints, and 26 alternative guitar tuning. Founder of Russian Blues. Yuri is credited with inventing distinctly Russian blues sound, like his trademark Gothic Blues that does not have direct analogues in a worldwide blues scene, as well as many signature instrumental techniques and styles. His method allows him to sound like as a “one-man band” (as Guitar World and The New Yorker called him), all on a single, albeit especially designed instrument. 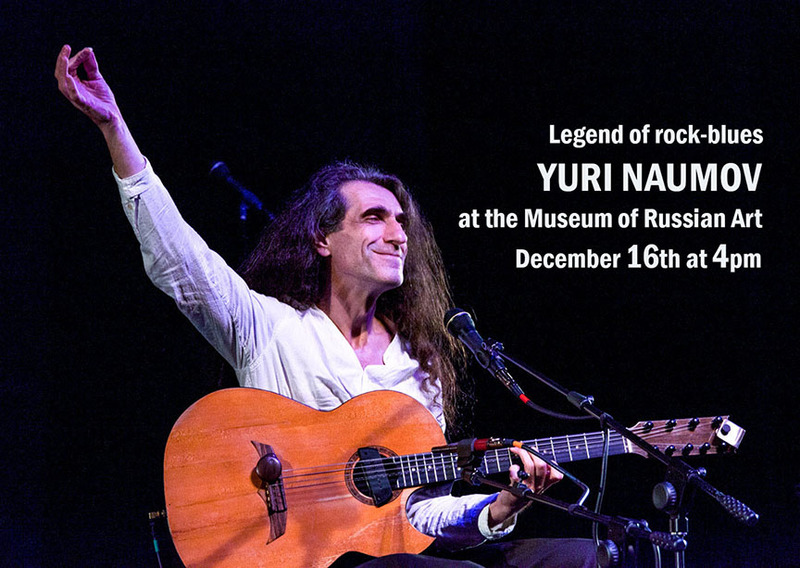 His nine string guitar, custom-made by famous Russian violin maker, and an ingenious combination of sound effects, create an impression of multiple players, united in counterpoint. A music expert famously lost a hefty wager, betting that Yuri was, at the very least, a duet.